At Dartmoor Brewery we love making great beer. Pure and simple. Our great beers come from a passion for the brewer's craft, and a passion for our birthplace and home, Dartmoor National Park. We use only the finest ingredients in our traditiional craft ales. 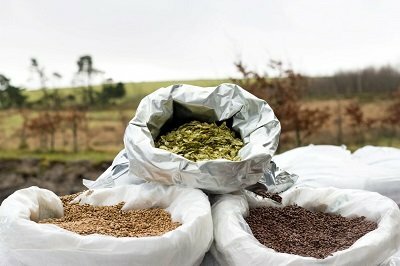 The finest English malts, carefully selected hops, our own strain of yeast, and clear, pure Dartmoor Water. As England's highest brewery, at 1465ft above sea level, we are also well placed to enjoy the benefits of clean, fresh Dartmoor, and stunning Dartmoor views in every direction - both of which, we think, add a certain touch of magic to our brews. Dartmoor Brewery was established in Princetown in 1994 by award-winning brewer Simon Loveless and local businessman in humble premises behind the Prince of Wales pub. Our first beer, Jail Ale (brewed within 800 metres of the infamous Dartmoor Prison) is a consistent award-winner to this day, and has been joined by a full range of superb craft ales including Legend, Dartmoor IPA and Dartmoor Best. Today we have a state-of-the-art purpose-built brewery complex, but still based very firmly in Princetown, our birthplace. 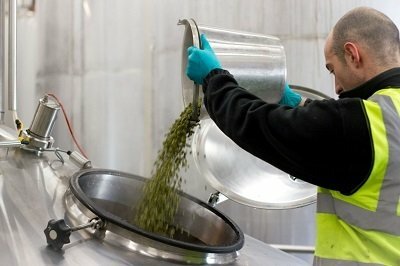 Today, we employ 20 people, and we brew over 3 million pints of beer each year. These fine ales are enjoyed in fine places throughout the South West, and increasingly further afield as more and more ale drinkers want to enjoy a taste of Dartmoor wherever they might live.